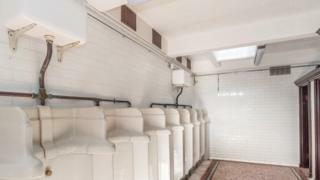 Victorian toilets which have been closed for years have been given a new lease of life. The toilets, at the old tram shelter at Seaburn seafront opened in 1901 but had fallen into a state of disrepair. Sunderland Council carried out the restoration as part of its £10m regeneration project of the seafront. It is hoping to give the old shelter a makeover and turn it into a restaurant. The restoration of the toilets included restoring its terrazzo flooring. Councillor Stuart Porthouse, portfolio holder for housing and regeneration, said: "The reopening of toilets is part of the our ongoing regeneration of the seafront which has seen £10m invested in improvements since 2010. "The toilets will complement the existing facilities at the seafront which include, fully accessible changing place toilets at Roker and Seaburn."